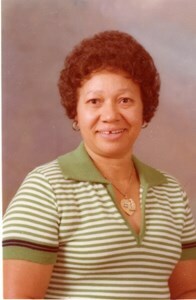 Newcomer Family Obituaries - Effie Lee Chatmon 1927 - 2019 - Newcomer Cremations, Funerals & Receptions. her loving son Anthony, grandson Chris and granddaughter Andrea at her side. attended the Kingdom Hall of Jehovah's Witnesses for over 65 years. Good Samaritan Hospital, where she later retired. where she loved spending time with her family. Grandchildren: Duane Anthony Barnes and Melinda Shyrell Barnes Moore. Diana L (John) Motley of Egg Harbor Twp, NJ and Tracy G Hutton of Dayton. trying times. A special thanks to Christopher Byrd, and Tayler R Barnes for being there with their Grandmother in her final days. Family will receive friends Saturday, February 16, 2019 from 2 p.m. until the time of the funeral service at 3 p.m. at Newcomer North Chapel, 4104 Needmore Rd., Dayton, Ohio. To share a memory of Effie or leave a special message for her family, please click the Share Memories button above. Add your memories to the guest book of Effie Chatmon. To Diana Motley and family. I had the honor of meeting Ms. Effie at her Grand Daughters’wedding (Dana) in New Jersey several years ago. Praying for the family. May you now Rest In Peace.